Our 2016 newsletter is now online – click here for our Letter from President, an update from former Kandahar student Maryam Naqibullah, and a student-made video that will take you into the heart of the Afghan Canadian Community Center (ACCC) and the Kandahar Institute of Modern Studies (KIMS). Maryam is currently studying International Relations at Carleton University in Ottawa. Previously, she was the only female translator for the NATO Provincial Reconstruction Team in Kandahar. She recently presented at the annual Symposium for Canadian Women for Women in Afghanistan, and shared the full impact of KIMS’ help here. What was your life like before you started attending the ACCC? During the Taliban regime, I was a girl who was going to forests to collect wood in order to make sure that we had enough wood for fire so our mother could cook for us. I was also bringing water since we didn’t have any water inside of our houses. I never ever thought that one day I would get an education. Everything seemed hopeless and life was like in prison. Why did you decide to pursue higher education, despite the risks? What class or teacher at the ACCC made the biggest difference in your life? English and computer classes made huge difference in my life. I have accomplished a lot in past three years in Afghanistan and in Canada and it’s all because of Afghan Canadian Community Center. If today, I am student of Political Science at Carleton University and pursing my undergraduate in International Relations and I have the ability to write my assignments in English, understand my lecture and speak in English with my professors. It’s all again because of ACCC. ACCC was the first place where I learned my English and Computer skills. What do you think makes the ACCC different from other programs in Afghanistan? The ACCC is the only place for Kandahari girls where they are provided best environment, best discipline, culturally most appropriate and they can get life skills in English, Management and Computer studies. Students are enabled to get jobs with different International and local organization and support their family economically. This also brings a positive change in life of Kandahar women and they become breadwinner for the family and gain more respect. How did Internet access, the computer lab, or access to the resource library impact your life or your studies? In Afghanistan our schools don’t have enough materials that student can benefit from or solve their problems while they are in school. They always struggle a lot getting more information about their favorite subjects. So having access to internet and library at ACCC is very useful and helped students to take out books or even read it inside the center to find the answer for their questions. It has really positive impact on our knowledge on the other side of the world too. Through these facilities we can get better information about the world. What employment positions have you held since studying at the ACCC? I worked as Protection Clerk for UNHCR, Legal Translator for International Legal Foundation, Only female interpreter with the Canadian Forces in Kandahar, Gender Advisor for US State Department in Kandahar. I was the breadwinner for my family at that time and currently I have been training the Canadian troops across Canada plus I worked as translator with Canadian Immigration in Ottawa. What educational programs would you like to complete in the future? I have dream of obtaining my PHD in International Relations one day and to become a diplomat in the future. Do you plan to return to Afghanistan? If so, what sort of work would you like to do when you return? It’s my main goal to return to Afghanistan and serve my country as minister of Foreign Affairs but the security situation in Afghanistan will decide that for me. Are there any other messages you would like to share? ACCC has brought a huge change in life of Kandahar women. It’s the only institution where girls have full access to English language, computer, management and other online courses. To continue to help Kandahar women it would be the place where International donor money can make a huge change in life of Afghan women and their families. 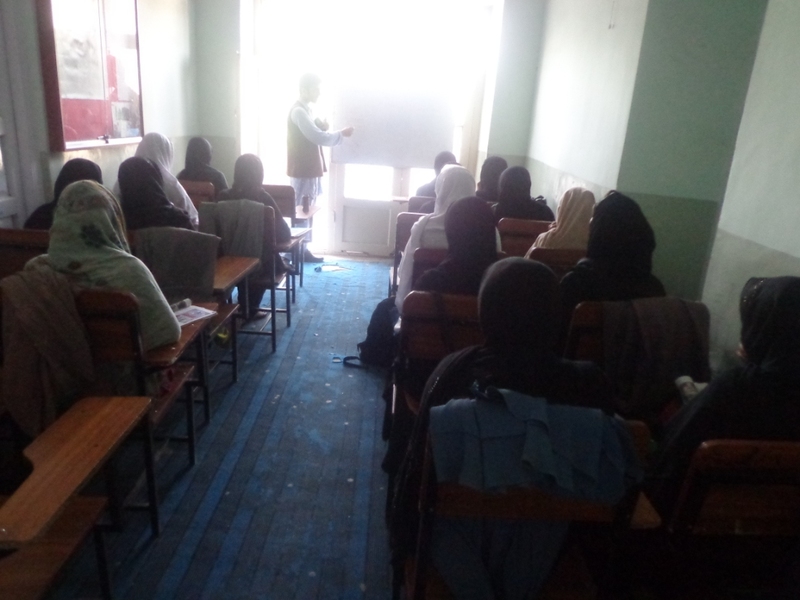 With the support of Canadian donors and our partner charities, more than 150 female students in Kandahar are now receiving vital education at the Afghan Canadian Community Center’s Morning Program in Kandahar. 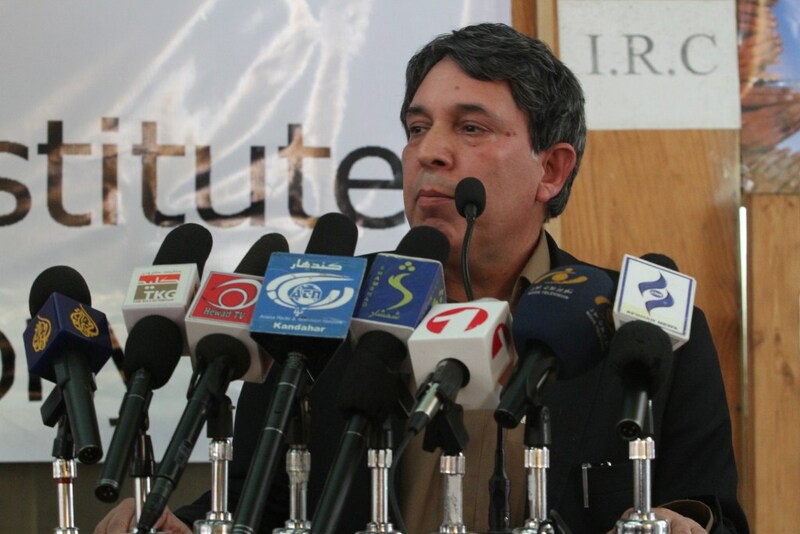 This program, provided by the Kandahar Institute of Modern Studies, allows students to receive professional training in a range of high-demand fields, including computing, business, communications and journalism. The total yearly cost of the program is $45,000, a figure raised with the support of the Luke Four Foundation, the Cadmus Foundation, and individual Canadian donors. The Canadian International Learning Foundation (CanILF) has pledged to support the Morning Program for the next three years (2013 to 2015), and has successfully raised the first year’s costs. This multi-year commitment will provide a vital source of reliable funding for both the Afghan Canadian Community Center and Kandahar Institute of Modern Studies, providing stability to the students and teachers. The Afghan Canadian Community Center has served the women of Kandahar since 2006 and received funding from the Canadian International Development Agency from 2008 to 2012. During this period, the Center successfully trained 2,278 graduates. The students who secured employment as a result of this education provide economic support to an estimated 9,800 residents of Kandahar. The Kandahar Institute of Modern Studies – the Center’s parent organization – is presently funded by a grant from US State Department. CanILF Board Member volunteer Erin Collins is raising funds for Morning Program scholarships at the Afghan Canadian Community Center as she prepares to run her first-ever marathon on May 26. Her goal is to raise $1,050 – or a one–month scholarship ($25) for a female student for each of the 42.2 kilometres of the race. To contribute to her campaign and help cheer her on, please visit Erin’s Giving Page here. Donations are eligible for Canadian tax receipts and also count toward our $30,000 annual fundraising goal, which will unlock the next $15,000 matching grant from the Cadmus Foundation. You can also sponsor Morning Program students through our Adopt-a-Student program for as little as $10 per month. As a Scholarship funders, you will receive a student profile telling you about your student’s interests and plans for the future. This has been an incredibly eventful year for the Canadian International Learning Foundation (CanILF) and our partners. Most recently, we are pleased to announce new support for a morning programat the Afghan Canadian Community Center in Kandahar, as well as a new grant that gives us the opportunity to qualify for a $15,000 matching donation if we can raise a further $8,700. We hope to raise this in just 12 days (by December 31) and allow the morning program to start 2013 with a full year of funding and stability in place. We hope you decide to help us make the most of this 12 Day opportunity to receive the match and educate more students in need. 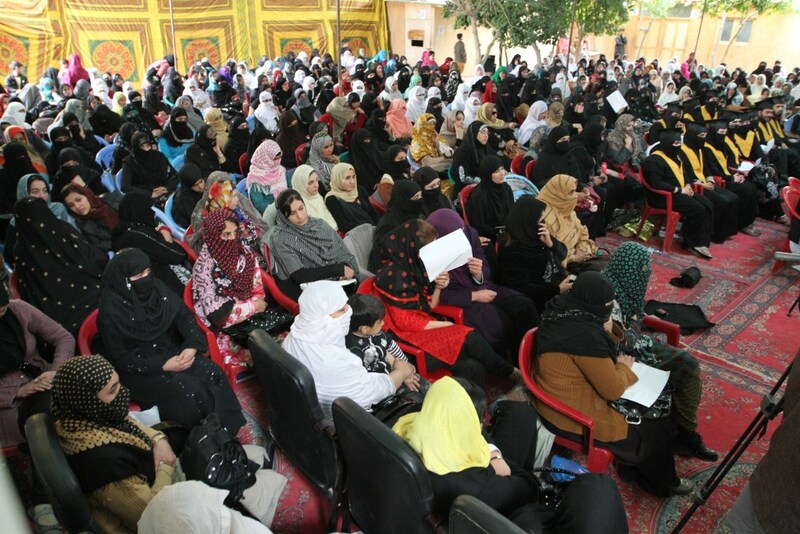 The morning program will educate between 150 and 200 Afghan girls and women in English, Computing and Communications. Just days ago, the Cadmus Foundation announced they are providing a $15,000 match for each $30,000 CanILF raises between now and 2015 (to a maximum of $45,000). Recently-received donations, including a generous new grant from the Luke Four Foundation, count towards the matching total, so we are now just $8,700 away from qualifying to receive the $15,000 matching grant in 2012. This means now is the best time to donate and make an even greater difference in the lives of Afghan women. Plus, you can still receive a Canadian tax receipt for 2012, or even donate as a gift and receive a student profile via email just in time for the holidays. 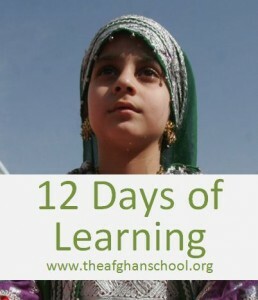 To help get the new morning program off to the right start, donate to our 12 Days of Learning campaign online. You can make a one-time donation or help a student attend English and Computing courses for just $10, $15 or $25 per month, for any number of months. To receive your student’s profile, please include ‘Adopt-a-Student’ in your message. To provide you a 2012 Canadian tax credit, and to have the donation count towards the match in 2012, we must receive your donation by December 31. With your donations and the full match, the new morning program would start 2013 with a full year of funding in place to cover the core costs in Kandahar to operate the program ($45,000). This would provide significant stability and comfort to students and teachers. It would also better enable future planning and make it easier to attract new international partners and raise even greater donations to help students thrive. The impact of your donation has truly never been greater. I look forward to updating you further on the Afghan school and CanILF’s other programs, including the Uganda Literacy and Education Program (www.ulep.org) and the Educator Volunteer Network (www.educatorvolunteer.net), in early in 2013. Again, to donate to the 12 Days of Learning campaign and help us receive the $15,000 match, please click here or send a cheque payable to the Canadian International Learning Foundation to: The Canadian International Learning Foundation, PO Box 4791 Station E, Ottawa, ON, K1S 5B1. We are thrilled to announce that the Afghan-Canadian Community Center has received the new funding needed to ensure its doors remain open. The U.S. government generously provided a grant that is expected to total more than $150,000 over the next year. The first $50,000 has already been received in Kandahar and will support the center’s popular afternoon program educating 1,600 students, most of whom are women. 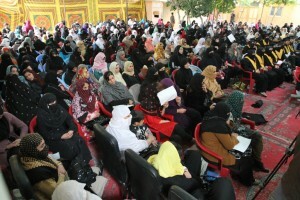 More than 600 people attended the graduation ceremony, including family members, senior Afghanistan government officials and local media. They helped the graduates celebrate an accomplishment that for many women was beyond their wildest dreams. 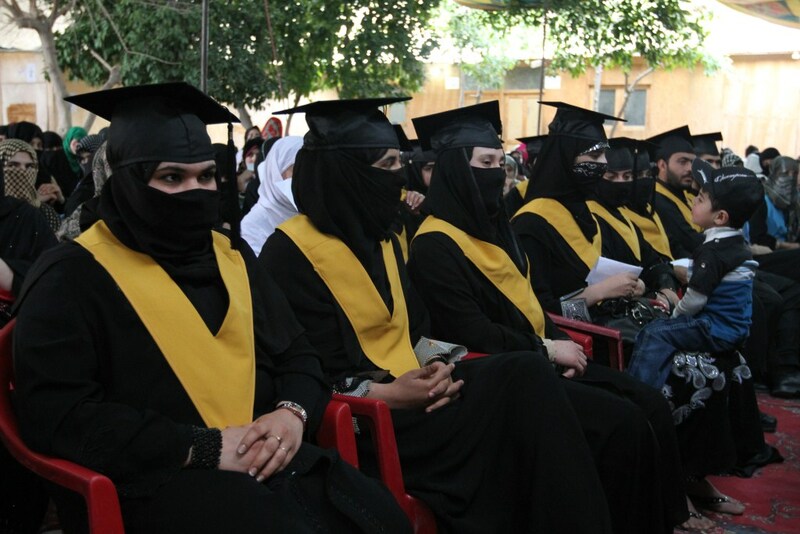 “Until recently, receiving this type of education was something few women in Kandahar could experience,” says Ryan Aldred, President and Co-Founder of the Canadian International Learning Foundation, based in Ottawa.Sixteen of the 200 ACCC graduates received a certificate of achievement in Business Management from SAIT Polytechnic. The Calgary-based post-secondary institute has partnered with the ACCC since 2007. “The students have been logging into SAIT courses just as a Canadian student would, except they are doing it from a desk in Kandahar,” says Gord Nixon, Vice President Academic at SAIT Polytechnic. SAIT sent caps and gowns for the 16 students to wear. “These results are thanks to the continued support provided to us by the benevolent people of Canada and the very generous financial assistance given to us by the Canadian government through the Canadian International Development Agency (CIDA). The U.S. Department of State has also supported our English and leadership courses,” says Ehsanullah Ehsan, Director of the ACCC.